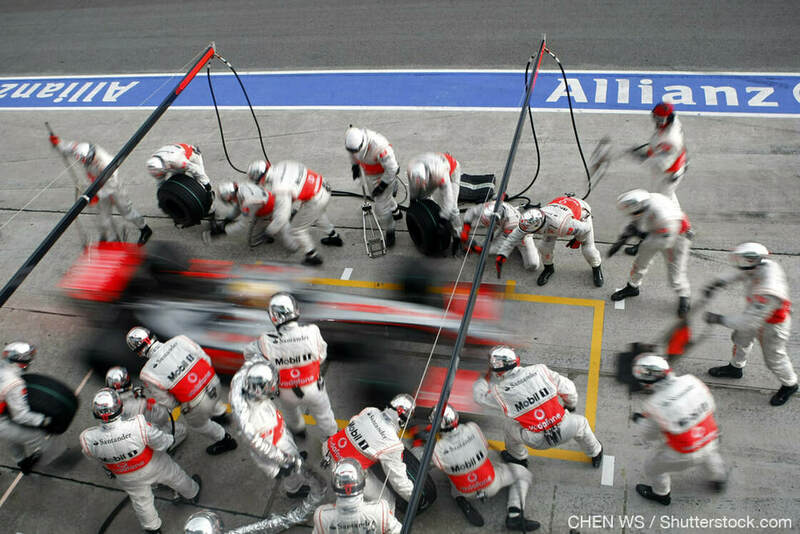 A veteran of McLaren Racing’s pit-stop crew, Formula One™ mechanic Marc Priestly knows more than most about what makes a Grand Prix™ really special. We’ve got Marc’s exclusive take on the Monaco Grand Prix™ – and why it's among the best races you’ll ever experience. The Monaco Grand Prix, held amongst the built up streets of the beautiful Monte Carlo principality, is often referred to as the “jewel in F1’s crown” and is unquestionably one of the most glamorous and star studded annual sporting events in the world. The race is unique in its setting, history and opulence and gives visitors an entirely unique experience over any other Grand Prix on the calendar. Race fans, locals, mechanics, drivers, celebrities and billionaires walk almost anonymously side by side around the famous harbour, dining in the open fronted, waterside pizzerias or on the open decks of mind blowing super-yachts. Popular nightspots include the trendy Columbus Hotel for fine dining and cocktail fuelled celeb spotting, many of the drivers stay here; the bar at Rascasse corner for a long and raucous evening with live music; or if you really want to mix it in the right circles, the exclusive post race Amber Lounge parties. On Sunday evening you’ll find most of the drivers and entourages here, letting down their hair like nowhere else. The historic race itself, on the tight, twisty streets, presents a series of idiosyncratic challenges for drivers and their teams. • Cars need as much downforce as they can get, so wings and aerodynamic packages are designed especially for this circuit. Due to the nature of the track, this is more important than having the aero-efficient car required at other races. • The need for brake cooling is the highest of anywhere we visit, because of the high number of low speed corners in quick succession, so you’ll see bespoke, larger brake ducts inside front and rear wheels of cars too. • With the race being run on regular roads, grip levels increase dramatically as F1 cars lay down tyre rubber over the weekend. Car setup’s an enormous challenge for teams as grip changes with every run, making it tricky to know whether lap time’s coming from the car or circuit evolution. • Sensitive throttle response is important with Monaco’s stop/start nature, but whilst not a particularly hard event for engines, gearboxes are put to the test with the huge number of gear changes and torque demands each lap. • The fastest way around this circuit is to use as much of the track as possible. That means drivers running as close to the barriers on corner exits as they dare and that requires the highest levels of sustained concentration of any Grand Prix. • The narrow streets make overtaking difficult, so qualifying high up the grid is crucial. For racing drivers, this is a special race and one that everyone dreams of winning in their careers, alongside the Le Mans 24hr and the Indy 500. For the teams it’s no different and I’ve been fortunate enough to be on the winning side on a number of occasions with McLaren. The feeling of winning any Grand Prix is an incredible one, the culmination of a lot of painstaking hard preparation and team work, but standing underneath the steps of the royal box, as our drivers spray the victory champagne here will always go down as some of the best moments of my career. Aside from the racing, Monte Carlo provides a spectacular backdrop, social scene and sound as the noise of the cars reverberates around the built up billionaire’s playground. It’s a truly memorable experience and if you go to just one Formula One Grand Prix in your lifetime, I’d strongly recommend making it Monaco.